Jumping pad for Ovalie 430 trampoline. When you notice that you have a tear in the jumping mat of your trampoline, do not hesitate to change it. This brand-new jumping mat is adapted to oval trampolines with a diameter of 4.23 m x 2.44 m with springs of 180 mm in length. 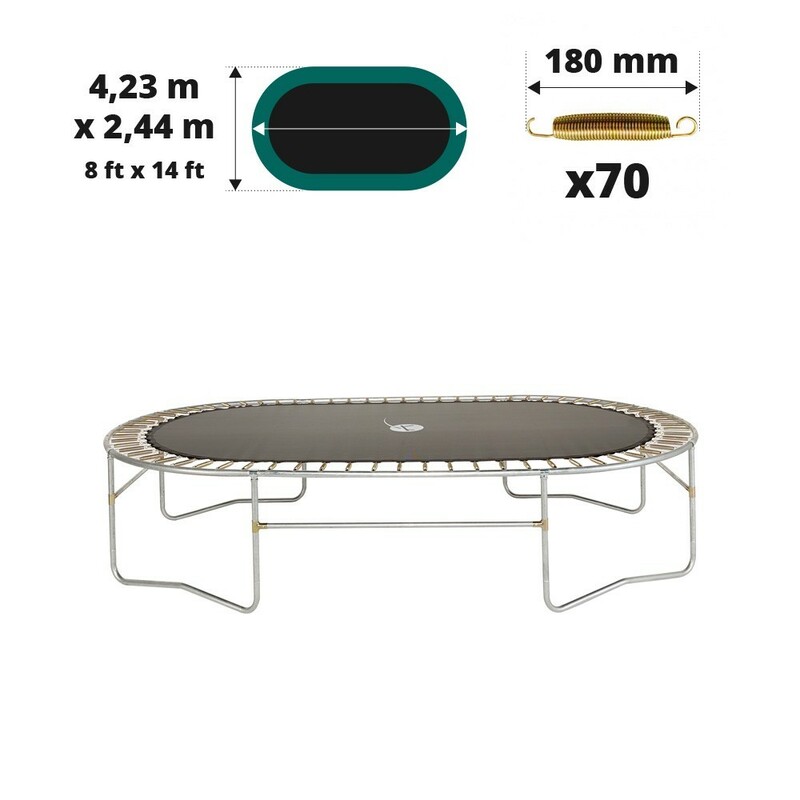 - This jumping mat is adapted to our recreational Ovalie 430 trampoline, with springs of 180 mm in length, but also any other trampoline from a brand other than France trampoline, with the same characteristics. Make sure you measure the diameter of your trampoline before ordering. 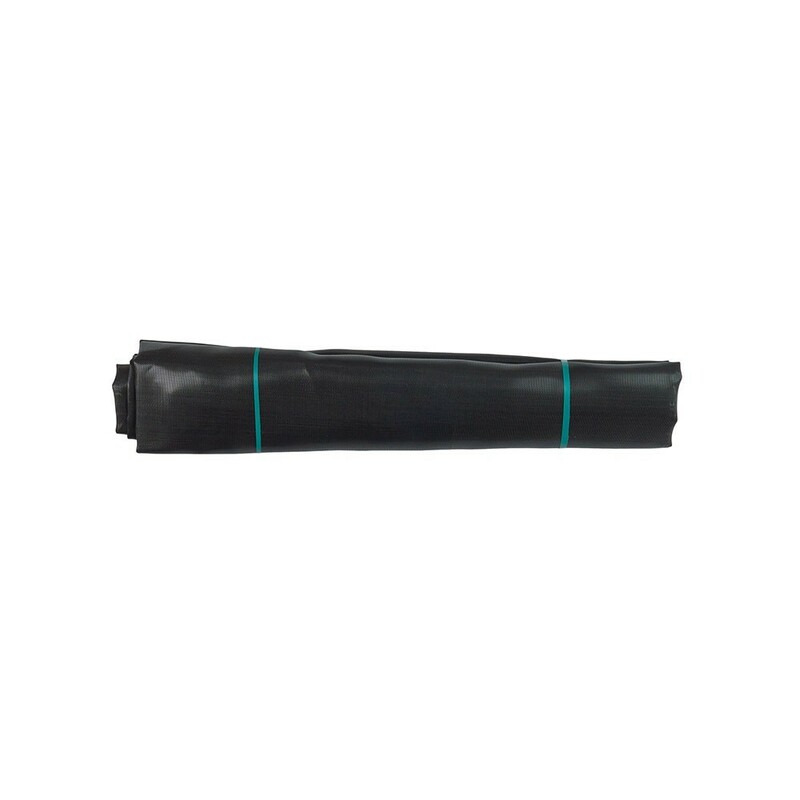 - As with all of our products, this jumping mat has been made using mesh fabric, which is very well known for its resistance. The jumping mat has also been UV-protected in order to protect it from any of the risks linked to the sunlight. 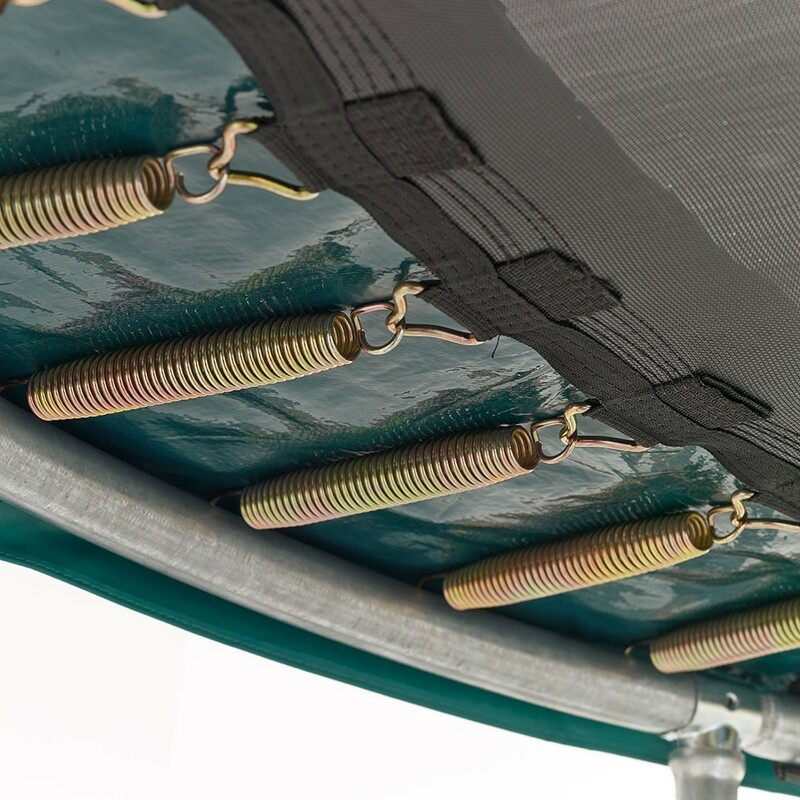 - To avoid any tearing, we have placed 8 rows of stitches, (six are usually used on rival trampolines), as well as a strengthening strip, to ensure that the straps are held in place in all circumstances. On each strap, there is a steel ring, in which the springs are placed. These rings have been hot-dip galvanised for improved rust resistance. - This jumping mat is only adapted to oval trampolines of 4.23 m x 2.44 m with springs of 180 mm in length. It will only be perfectly adapted if your springs measure 180 mm. Measure the length of your springs precisely by removing one from your trampoline. All you need to do is measure the spring from hook to hook.